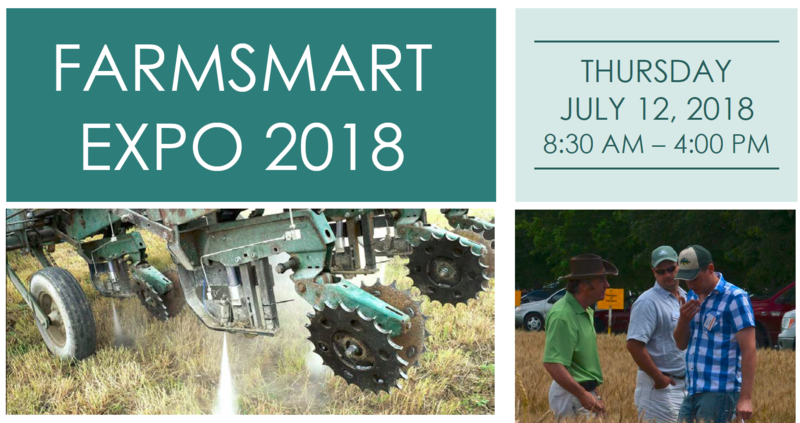 The FarmSmart Committee is please to announce FarmSmart Expo 2018 Field Day being held July 12, 2018 at the Elora Research Station. Ontario Ministry of Agriculture, Food and Rural Affairs (OMAFRA) field crop unit staff and the University of Guelph’s research staff will be providing leading-edge, hands-on diagnostics sessions at the Elora Research Station, 6182 2nd Line E, Ariss. Registration fee is $90 for OSCIA members, $125 for non-members includes a one-year membership in your local soil and crop improvement association, and students are $45. Deadline for discounted rate is July 19th. After July 9th registration rate is $125 (no membership benefits). Certified Crop Advisor (CCA) Continuing Education Credits have been applied for. To register online go to: http://www.farmsmartconference.com or call 1-877-424-1300. Information and program updates are posted online at www.farmsmartconference.com. Updates will also be posted on www.farmsmartconference.com and Twitter@FarmSmart18.